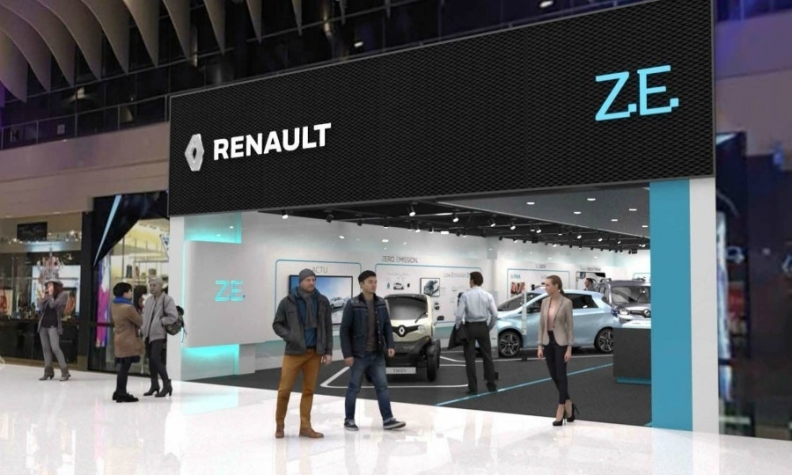 Renault's EV store is owned by Swedish distributor, Bilia. More showrooms are planned for urban areas around Europe. PARIS -- Renault is opening its first showroom dedicated to electric vehicles. The store will be in a shopping center in Sweden. The Renault Electric Vehicle Experience center will take orders, offer test drives and provide experts who can answer customers' questions. The store has zones where visitors can find information about charging infrastructure, local legislation and subsidies, and electric mobility services. Renault chose Sweden because the government has been supporting EV sales with incentives, a company spokeswoman said. Stockholm is also an emissions-restricted zone, she said. Sweden offers subsidies of up to 40,000 krona (about 4,000 euros) for buyers of battery electric vehicles as well as tax breaks and exemptions, according to the European Alternative Fuel Observatory, which tracks electric vehicle trends and legislation. Sweden ranks third in Europe for electrified vehicle sales (battery and plug-in hybrid cars), which account for 5.3 percent of new vehicle registrations, the Alternative Fuel Observatory reported. Norway ranks first, at 40 percent. Overall demand for battery-electric cars rose 46 percent in Europe last year, to about 132,000 registrations, according to JATO Dynamics. The Renault Zoe was the best-selling battery-electric car in Europe last year, with 30,586 sales, a gain of 44 percent, JATO reported. The store is owned by Renault's Swedish distributor, Bilia. More showrooms are planned for urban areas around Europe, the spokeswoman said. "We want to go to where the customers are," she said. Automakers have been experimenting with different retail methods to sell EVs. Last year, BMW, Nissan, Renault, Volkswagen, Kia and Mitsubishi helped to finance the Electric Vehicle Experience Center north of London. That showroom is meant to serve as a marketing tool, participants said, rather than a point of sale. Similar stores have opened in the U.S. and China.